The Blog was recently contacted by a Registered Building Surveyor. His letter addressed Minister Phil Hogan’s stated costs for BC(A)R SI.9 at between €1000 and €3000. In addition to a previously posted letter and pdf inspection plan kindly prepared for review by blog readers, we table an additional note and a Draft Inspection Form which is attached also. This is the second part of a two part post. 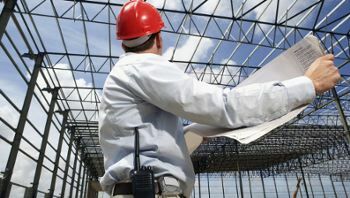 Read previous post here: “A Registered Building Surveyor’s Inspection Plan“. I have attached a typical Draft Stage Inspection Form, whereby one can complete the project particulars, tick off elements of construction that are carried out correctly, add any comments that may arise, eg non compliance issues can be noted and action stipulated for rectification. The form can be signed by the assigned certifier, contractor,(even the relevant tradesperson) and ancilliary certifier. This allows for each stage of construction to be signed off by the relevant parties. In my earlier post I suggested 33 stage inspections, this amounts to a lot of paperwork, but will give peace of mind to both the Assigned Certifiers and their client, subject of course to obtaining an appropriate fee for the professional service carried out. On another note however Building Control, may not be too impressed with the volume of completion documentation submitted. Is this the type of back-up information that Building Control the Minister envisaged for his Building Control Departments, which are well under-staffed?? I hope this will give some idea and understanding to the general public intending on carrying out a construction project, with regards to the work which would be carried out by an Assigned Certifier and the responsibility that they take on. Its really nice idea. I think it would be helpful for all. Thank you for sharing with us.